Motorola has released the Android 4.0.4 OTA update for the WIFI Xoom. If you are still running the stock AU WIFI Xoom software (Honeycomb), then follow this post to install the US stock firmware first, then the OTA should be available to you from the settings menu. 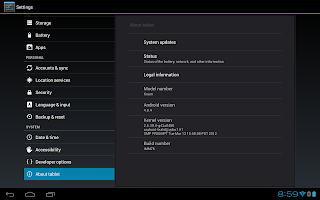 However, if you are running a rooted version of ICS, you'll need to follow this guide to download the update and install by booting into recovery. When installing it remember to copy the update ZIP file to your microSD card and install it from there otherwise it will appear to install but when you boot your system it will be on the same version. I installed this on my Xoom and all of my data was intact but you should backup your data just in case. Hi, I bought a second-hand xoom for 22,000, flashed it to 4.4 and rooted it and am loving every minute of it. My question is, if I tether it via bluetooth to my rooted Galaxy SC-02c to send the occasional email, will docomo catch me and send me a bill for 8,000?